Fight back against those responsible for injuring you by calling a Seattle serious injury attorney. 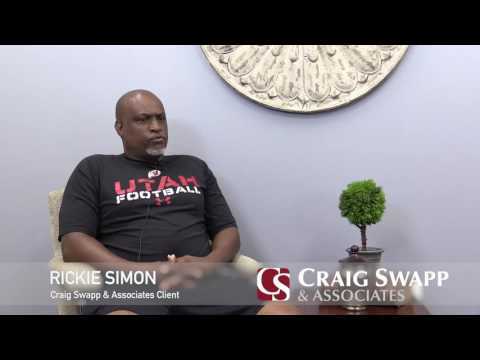 Lawyers at Craig Swapp & Associates want to see you get compensated for all the suffering you’ve endured. Many different accident types can cause a serious injury—a slip-and-fall, a dangerous product, a vehicle collision, an accident at work, and many others. What these different accidents have in common is that the damages the victims suffer are likely to be life-changing. Attorneys at our office handle most accident types. If you’ve been seriously injured and believe it might be someone else’s fault, contact a Seattle serious injury lawyer. Your attorney will help you file a personal injury claim so you can recover all the losses you’ve faced because of your accident. What will our firm do for you? Your attorney will investigate the cause of your serious injury, help you gather evidence and documentation to prove your damages, speak with the other side to negotiate fair compensation, and, if we need to, fight for your case in court. What Counts as a Serious Injury in Seattle? No matter what kind of accident you’ve been injured in, recovering the damages you’ve suffered is likely to be very important to you. Your serious injury attorney in Seattle can help you obtain justice from those who have harmed you, as well as compensation for the upset this accident has caused in your life. What kinds of compensation can you receive for a serious injury in Seattle, Washington? Compensatory damages are designed to compensate the victim of an accident for all the losses he or she has suffered because of someone else’s negligence. Have you suffered a serious or catastrophic injury in the Seattle area? You may be owed compensation for the damages you’ve incurred. Serious injuries can cause extensive losses—even permanent disability. You can get help filing an injury claim from a Seattle serious injury lawyer. At Craig Swapp & Associates, we believe in helping victims who’ve been injured in accidents not of their own making. Call 1-800-404-9000 to discuss your case with us during a free claim evaluation. You can also contact us via the online contact form below.